If the structure of your building or home is bowing or cracking, we offer a variety of wall repair options to stabilize your foundation. Our repair methods include helical tiebacks, plate anchors, and carbon fiber. 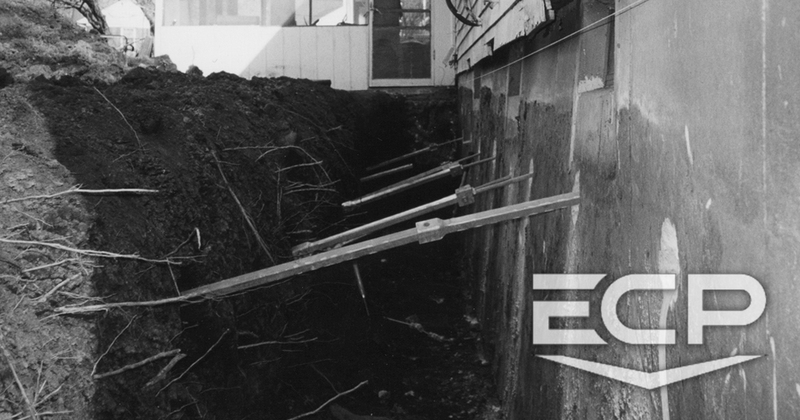 ECP Plate Anchors Plate Anchors are the most economical method for providing supplemental lateral force to help stabilize bowed and cracked walls affected by hydrostatic pressures. Helical wall tiebacks are designed to straighten or strengthen basement and retaining walls. This method of shoring has become very popular with the engineering community due to their strength and ease of measuring capacity.